French police and intelligence services are surveilling around 15,000 jihadists living on French soil, Le Journal du Dimanche reported on October 9. Of these, some 4,000 are at “the top of the spectrum” and most likely to carry out an attack. Of the 1,900 French jihadists fighting with the Islamic State, as many as one-fifth have received as much as €500,000 ($580,000) in social welfare payments from the French state, Le Figaro revealed on October 26. French President Emmanuel Macron has formally signed a new counter-terrorism law which gives prefects, police and security forces wide-ranging powers — without the need to seek prior approval from a judge — to search homes, place people under house arrest and close places of worship. The measure also authorizes police to perform identity checks at French borders. 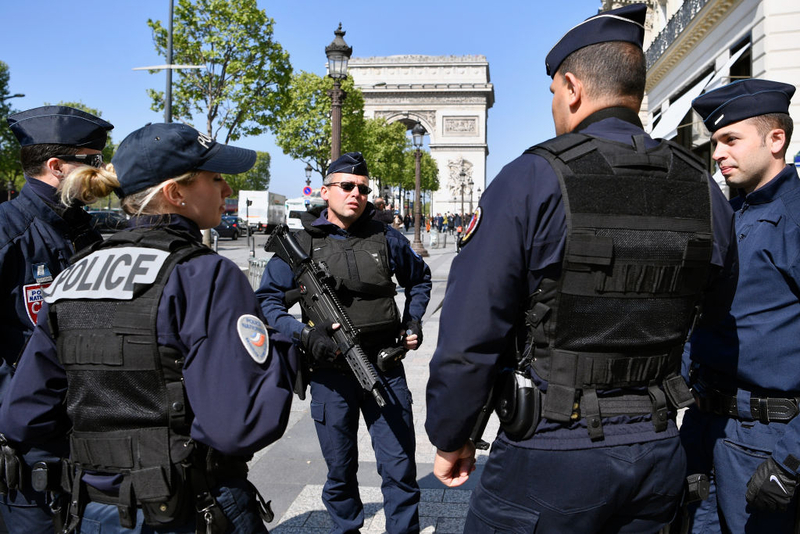 The new law, adopted by the French Senate on October 18, makes permanent many of the previously exceptional measures imposed under a two-year-old state of emergency, which was introduced after the jihadist attacks in Paris in November 2015. That state of emergency was slated to expire on November 1. During a signing ceremony at the Élysée Palace on October 30, Macron said the compromise measure strikes the right balance between security and respect for civil liberties. Hardliners counter that the new law does not go far enough, while human rights groups complain that it will leave France in a permanent state of emergency. Security Zones. The new law gives prefects, the top government official in each of France’s departments or regions, the power to designate public areas and sporting or cultural events, including music concerts, that are deemed to be at risk of terrorism, as security zones. The law authorizes police to search all persons or vehicles attempting to enter such areas or events. Anyone refusing to submit to such searches will be denied access. Closing Places of Worship. The new law authorizes prefects to order the closure of mosques or other places of worship for a period of up to six months if preachers are deemed to express “ideas or theories” that “incite violence, hatred or discrimination, provoke the commission of acts of terrorism or express praise for such acts.” Violations are punishable by six months in prison and a fine of €7,500 ($8,750). Opponents of the law argue that “ideas” and “theories” are subjective and therefore open to abuse. House Arrest. The new law authorizes the Minister of the Interior to confine suspected Islamists, even those who are not accused of a specific crime, to the town or city of their domicile. Any individual for whom there are “serious reasons to believe that his or her conduct constitutes a particularly serious threat to public security and public order,” may be placed under house arrest — without the prior approval of a judge — for a period of three months, renewable for additional periods of three months to a maximum period of one year. Individuals subject to such confinement will be required to report to their local police station once a day. Alternatively, individuals may be placed under mobile electronic surveillance. The Minister of the Interior may also prohibit individuals from being in direct or indirect contact with certain persons, named by name, who are believed to pose a threat to public security. Violations of the measures are punishable by three years in prison and a fine of €45,000 ($52,500). Search and Seizure. The new law authorizes a prefect to ask a judge for a warrant to search the home of anyone suspected of posing a threat to public security. The individual being searched may be detained for up to four hours if he or she represents “a threat of particular gravity for security and public order” and has “habitual contact to persons or organizations with terrorist aims” or supports and adheres to ideas inciting to such acts. The law also authorizes police to seize any documents, objects or electronic data at the place being searched. Radicalized Public Servants. A civil servant working in fields related to national security or defense can be transferred or even dismissed from the public service if he or she is found to hold beliefs that are “incompatible with the exercise of his or her duties.” Soldiers can also be discharged for similar motives. Border Checks. The new law authorizes police to conduct warrantless identity checks at more than 118 border areas and 373 airports, seaports and train stations, as well as the surrounding areas up to a radius of 20 kilometers. This encompasses 28.6% of French territory and 67% of the French population, according to Le Monde. Critics say this includes many mainly immigrant suburbs and could lead to harassment of ethnic minorities.